Smart concept coat features conductive Volt yarns by Supreme (left). At right: Marty Lawrence, Dream Catcher Innovation Labs discusses wash and care of smart textiles. As is often the case with smart textiles, discussion seesaws between excitement about future possibilities and frustration about what is holding the industry back. 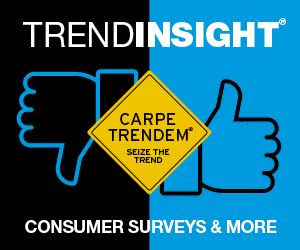 While expectations for the category remain high – the latest projections are a $3 billion market by 2023, and product launches continue to multiply – the reality it is that textiles have stalled when it comes to engaging mainstream consumers with a must-have product. 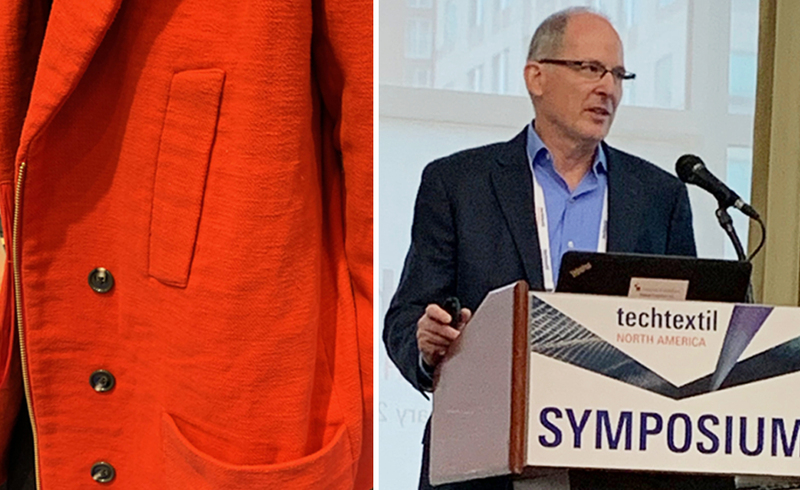 A recent seminar at the TechTextil NA trade show hit on these and other issues facing smart textiles today. The program, titled “The Smart Textile Ecosystem,” drew a standing room crowd early in the morning on Day 2 the tradeshow held in Raleigh last month – a clear indication of interest in this category and desire on the part of the materials community to create a robust smart textile business going forward. Featured speakers included Matthew Kolmes, CEO, Supreme Corporation, maker of VOLT yarns; Marty Lawrence, co-founder, Dream Catcher Innovation Labs, and Allison Bowless and Rebecca Wilson with FLEX, an electronics contract manufacturer with a Boston-based innovation center focused on soft-systems integration. Here’s a selection of quotes and quips from presenters that shed light on establishing a viable ecosystem where smart textiles can thrive. “Conductivity is customizable and can reduce battery size; this feature will help move the market forward. Without customization the industry will stall.